The Universe does respond to requests. 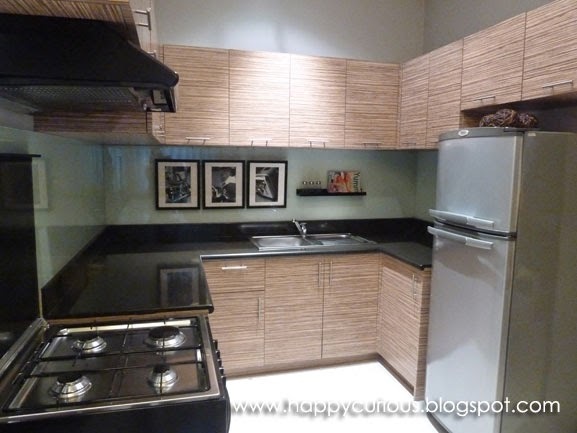 I've been checking out condo units just to get a feel for condo living and of course to find something that would be my inspiration for the future. I had also been inactive in blogger events for awhile so it was truly a welcome surprise to be invited to The Magnolia Residences City Food Picks. I was sure there was going to be food involved but to get to see their condo units too meant that I was hitting 2 goals with this 1 event. 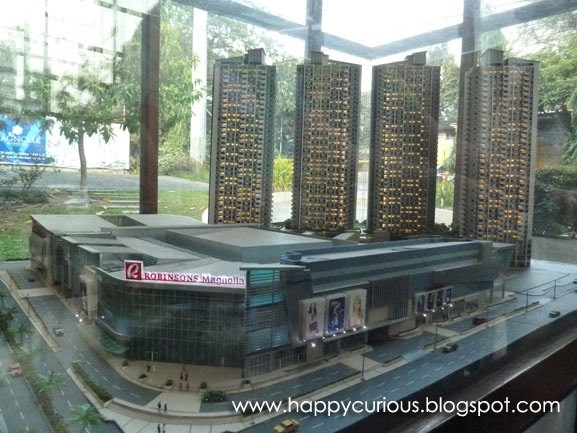 The Magnolia Residences is composed of 4 towers located at the back of the Robinson's Magnolia mall. Three towers have already been constructed and some units are ready for occupancy by June this year. Robinsons Residences partnered with RJ Ledesma and Anton Diaz (of Our Awesome Planet), both from the Mercato Central Group to create the City Food Picks, a food tour that showcases the unique food choices and dining experiences at Robinsons Magnolia mall. 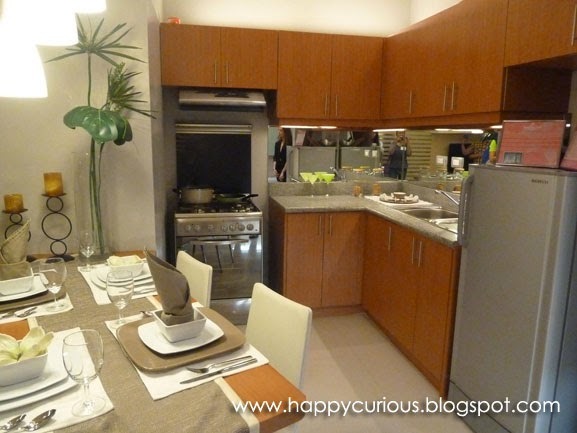 Meetup for the food tour was at the The Magnolia Residences showroom where we got a glimpse, or more appropriately, pictures of the different units available. 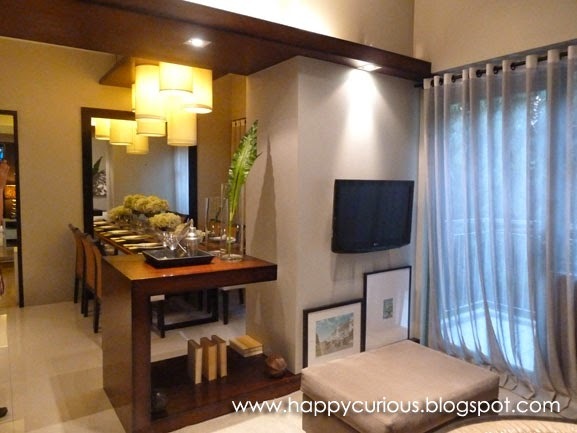 We got to see the 1-bedroom, 36sqm unit and the 78.60sqm, Executive 2-bedroom unit. Now, if you live in one of these units or you live near the area, or you just want to treat your taste buds to something new, then you would definitely want to indulge in unique dining options in the mall. The City Food Picks tour provides a taste of these new food choices that had us wanting to stay for more. After a tour of the condo units, we headed on to the food tour at the mall. We went to 8 food places so we had to remind ourselves to pace our eating so we see, smell and taste all the food that we we're going to be treated to and take pictures too. Our first stop was at C'Verde which offered healthy, meat-free options. The menu was a combination of Cafeteria Verde's vegetarian menu and Big Chill's blended beverages. Fresh veggies are used for their appetizers, sandwiches, rice meals, pizza, pasta and other offerings. 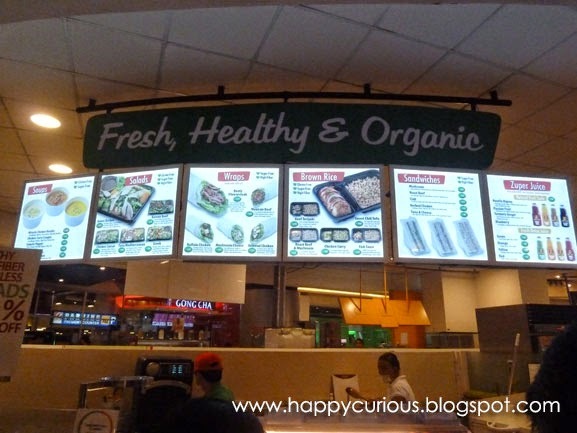 I have been trying to go vegetarian again but the food choices in malls are usually not vegetarian-friendly so a food place like this sounded really good to me. But the taste buds must be satisfied so we we're given a taste of their Bean and Cheese Taquitos - beans and sharp cheddar cheese wrapped in flour tortilla and served with homemade salsa or sour cream, or in our case, with garlic mayo. Well, this was our first bite and I think we we're all satisfied by this delicious treat. 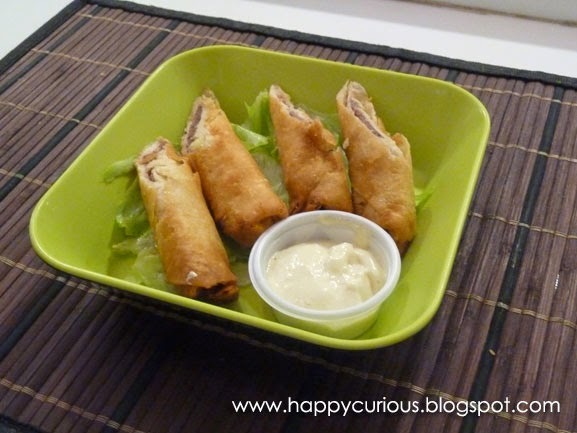 The flavorful cheese, soft beans, crunchy wrap and the creamy dip really made this a pleasure to bite into and there was no meat involved too. Definitely worth another visit. 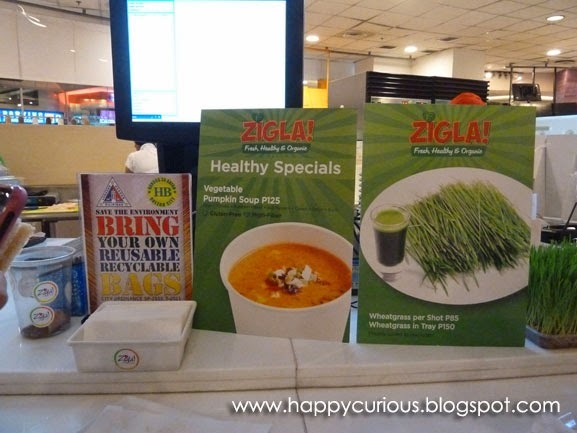 Another healthy eating place - to my delight - is Zigla!. They offer 3 pre-set food categories: rice, pasta and classic and all come in at 300 calories or less. All food is freshly cooked after you place your order and all ingredients are organic too! You can choose from their healthy offers of soups, salads, brown rice meals, wraps, sandwiches and juices to complete your meal. 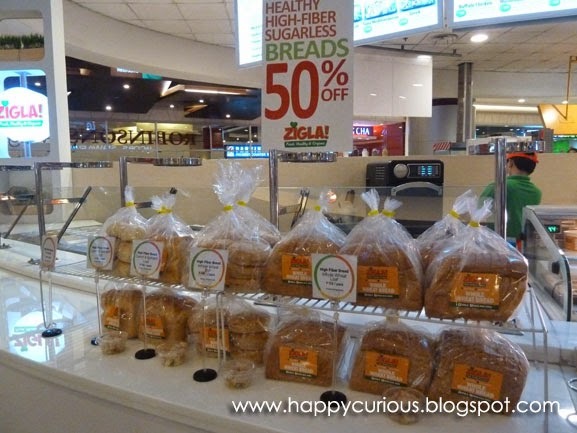 They also sell high-fiber breads in different varieties as well as gluten-free and sugar-free cookies. I bought myself a bottle of their Zuper Juice in Turmeric Ginger flavor before the tour and I was very satisfied with the spicy, sweet taste and even felt energized afterwards. These juices are anti-oxidant rich with live enzymes and sweetened with Stevia. I was told not to shake the bottle but stir it with my straw before drinking as it was fermented and might foam and waste my drink if shaken. They also offer a variety of detox juices made from fruits in season. 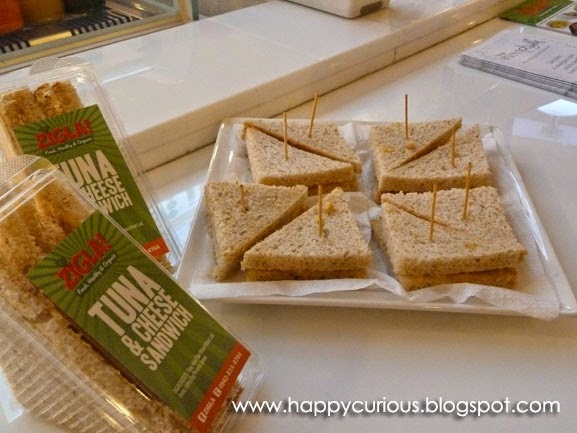 For the food tour, we got to taste their Tuna and Cheese Sandwich which used their high-fiber wheat loaf. This healthy and filling sandwich would surely have been a good partner to my Turmeric and Ginger Zuper Juice earlier. 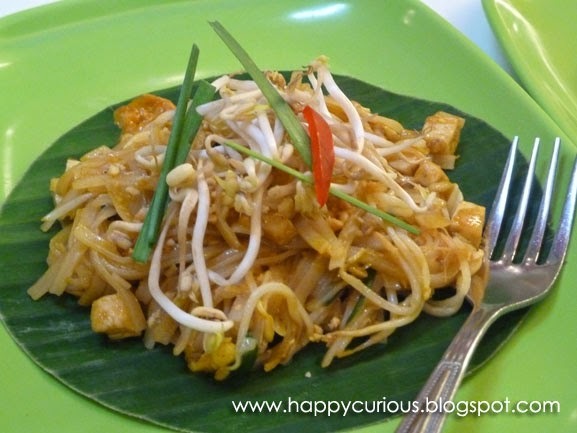 For those who are craving for the taste of Thai food, Pad Thai and more! serves up savory Thai noodles, salad, bagoong rice and other food options. Savory and spicy is how Thai food is usually described but their Pad Thai Chicken made me very happy as it didn't have the spiciness I expected, it was flavorful and on the sweet side instead. You have the option to make it spicy though, just ask for the condiment of your choice.